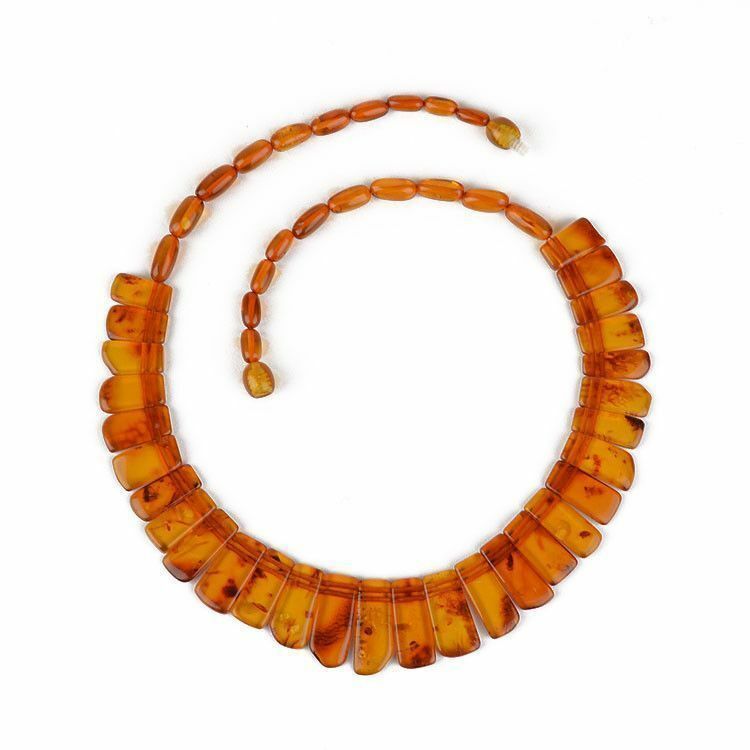 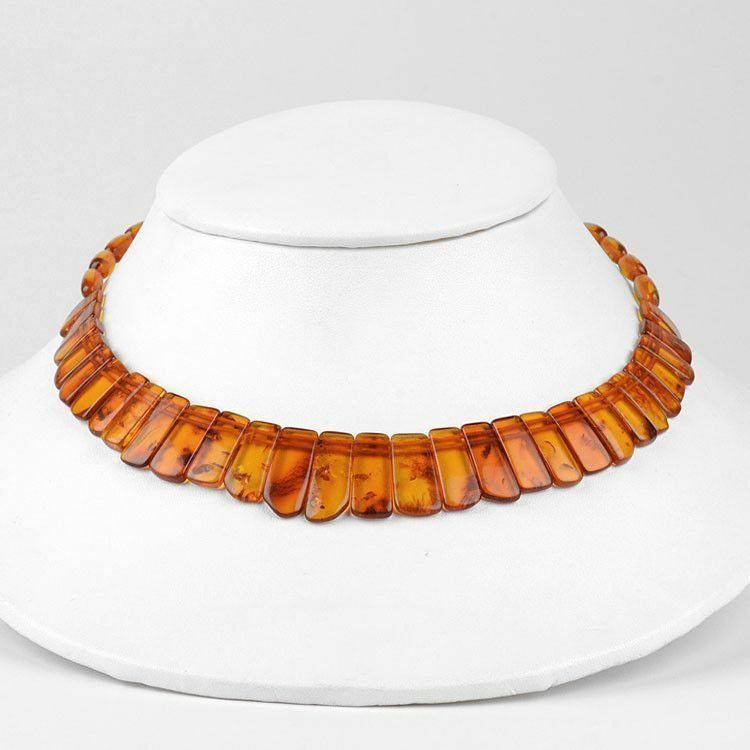 This collar style necklace made with real Baltic Sea amber is exceptionally stunning. 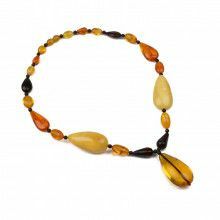 The lightweight necklace is about 18" long. 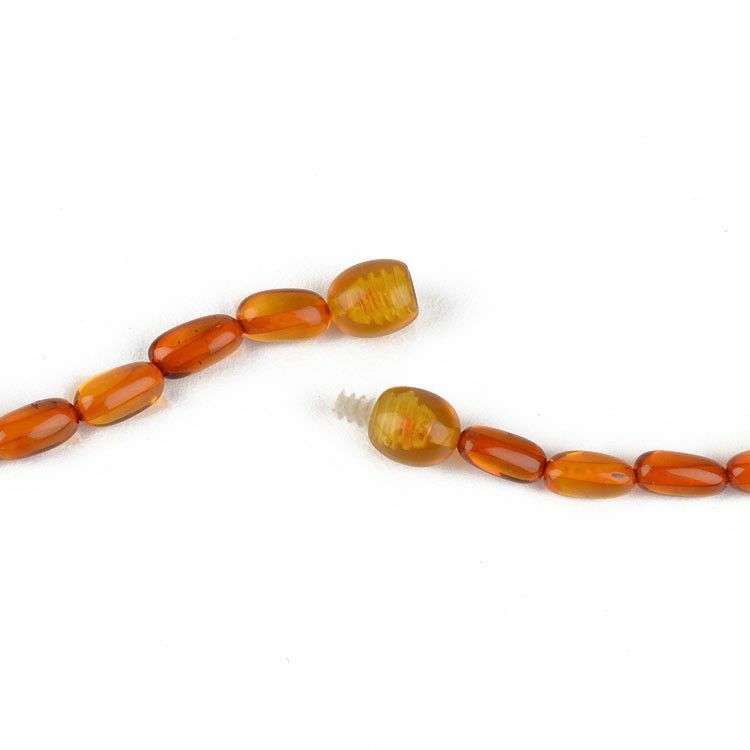 The clasp is a hidden barrel in more amber. 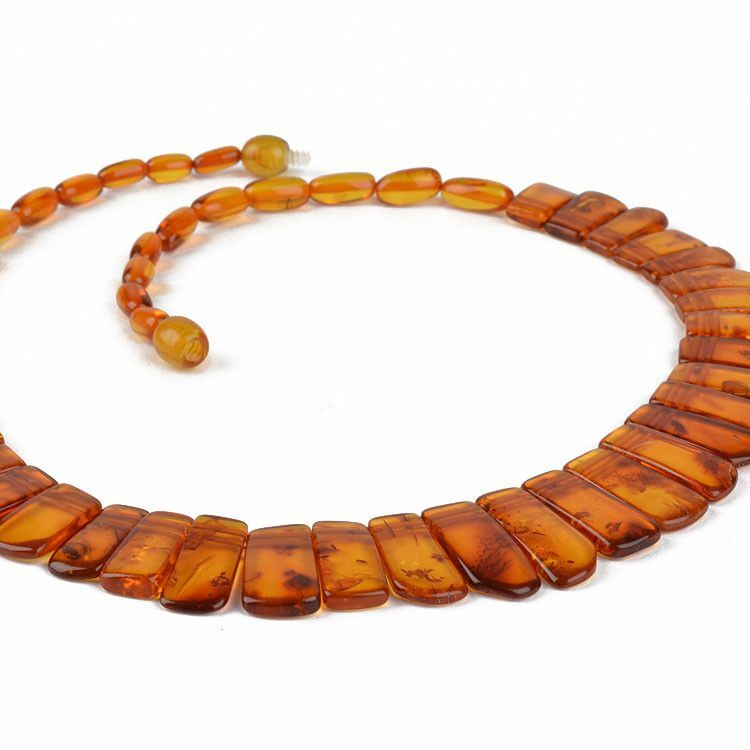 Although the beads range in size, the largest stone is about 7/8" by 3/8" in size. 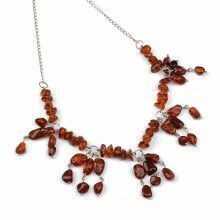 Feel the warmth and comfort of amber jewelry with a necklace like this one from The Russian Store!